CASE Construction Equipment and Team Rubicon join forces with U.S. Fish and Wildlife Service and Imperial Irrigation District to mitigate pending public health and ecological disaster at California’s largest lake. Since the initial flooding, the Salton Sea (Sea) had been maintained by water run-off from nearby agricultural communities. However, modern water conservation practices have reduced the run-off significantly, and the Sea is drying up. As the shoreline recedes, it leaves behind thousands of acres of exposed lakebed. Now, winds sweep across the exposed shorelines, kicking up harmful dust and contributing to existing air quality problems for the people and wildlife of the surrounding region. The Sonny Bono Salton Sea National Wildlife Refuge (Refuge) was established in 1930. The majority of the lands managed by the Refuge (37,600 acres) are within the currently flooded portions of the Sea. The Refuge currently has one of the greatest diversity of bird species of any Refuge in the nation, although this status is at risk due to the increasing salinity. About 2,000 acres of the Refuge is now exposed by the drying Sea. To help keep these lands productive for birds visiting the Refuge, the U.S. Fish & Wildlife Service (Service) and Imperial Irrigation District (IID) are in the process of restoring Red Hill Bay, a dried bay on the Southern edge of the Sea. Historically, funding for much-needed mitigation projects has been hard to come by, but recently, an unprecedented project has taken the first small step toward demonstrating how funding can make way for essential restoration. The U.S. 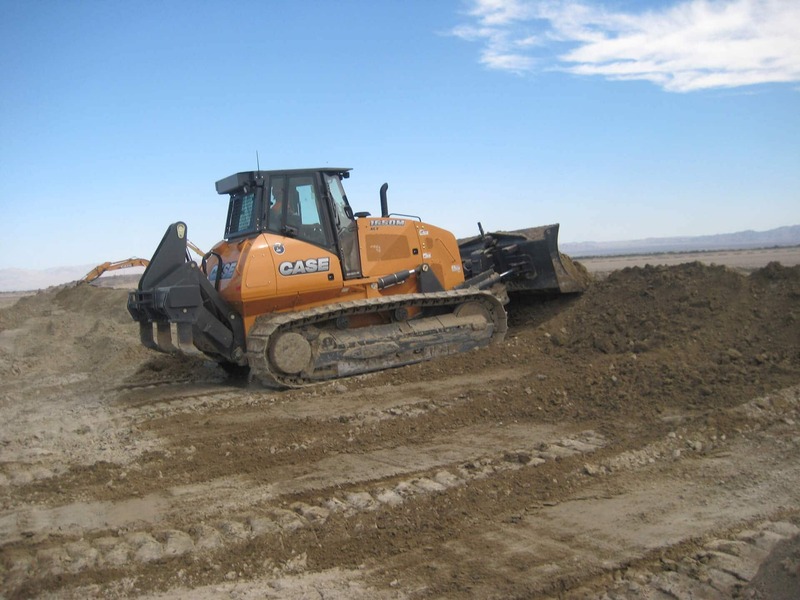 Fish and Wildlife Service has partnered with California’s Imperial Irrigation District to build a series of berms and canals that will cover approximately 530 acres of dry lakebed with water from the Sea and the nearby Alamo River. The project is proving to be a challenging, costly but worthwhile task. Much is being learned about how to work in such difficult conditions, and the lessons learned are laying the foundation for future work. This information is vital, as the clock is already ticking for the residents of Imperial County—who already exhibit the state’s highest rates of childhood asthma. Team Rubicon—a veteran-led disaster relief organization that seeks to help veterans transition from military to civilian life—has partnered with the Service in order to provide heavy equipment safety training and seat time operating heavy equipment to Team Rubicon volunteers. This creates enhanced capability for Team Rubicon disaster response teams and contributes volunteer service hours towards much-needed mitigation and restoration projects all over the United States. 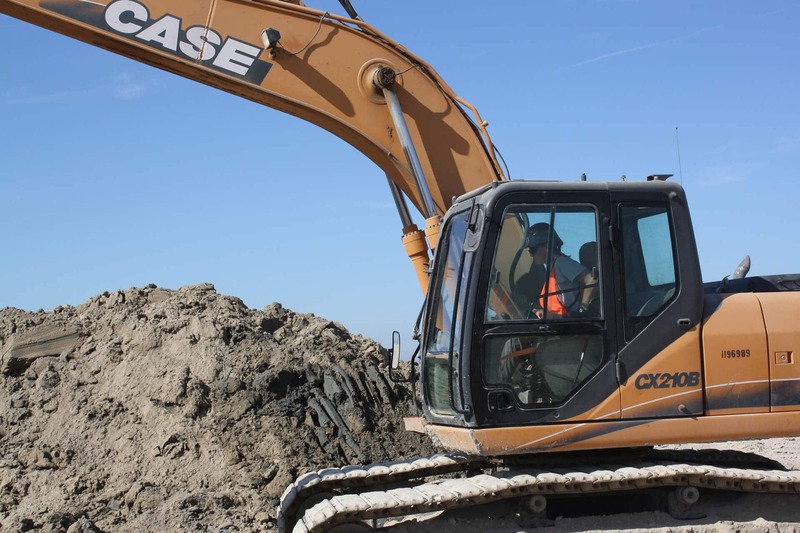 A key component is Team Rubicon’s partnership with CASE Construction Equipment, which provides both training and heavy equipment through their dealer network. 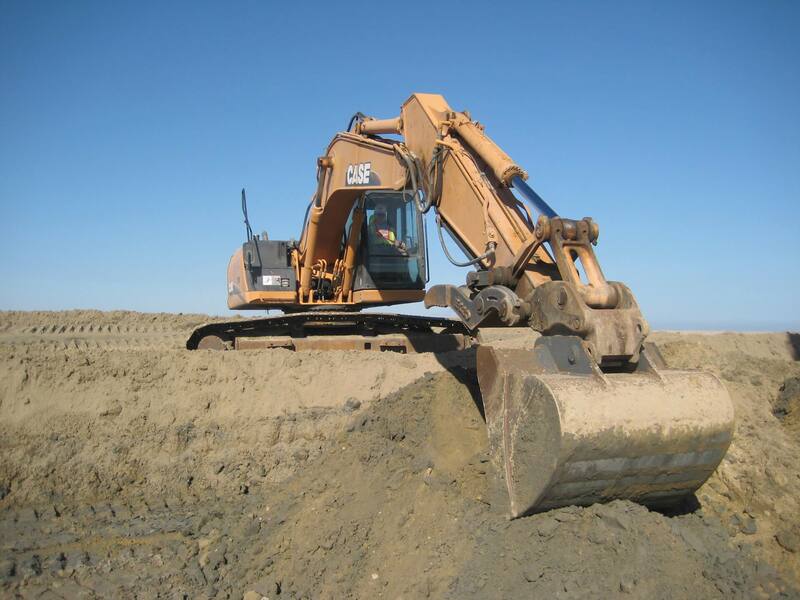 CASE provided several excavators, dozers and training support to assist Team Rubicon in their efforts at Red Hill Bay. Tasked with constructing the primary containment berm for the massive reclamation project, the Service, Team Rubicon and CASE began their efforts in the autumn of 2016. Another key figure in this project is Graeme Donaldson, Imperial Irrigation District’s program manager for the Salton Sea Initiative. A marine engineering-electrical engineer with extensive experience in renewable energy development and project management, Donaldson is directing IID and Imperial County’s Salton Sea Restoration and Renewable Energy Initiative. In his role, Donaldson advances initiatives at the Sea, including the utilization of IID-owned lands for renewable energy projects that will maximize the district’s assets and serve as ground cover for the exposed lakebed. He collaborates with Imperial County to integrate the work product of both agencies at the Sea and develop an IID-land-use plan that will deliver sustained environmental and economic value to the region. With many challenges having been overcome, the first phase of this key conservation and public health improvement project has been a resounding success. The initial 530-acre wetland restoration project at Red Hill Bay—the first of many—is scheduled to be completed in 2017. This work will restore wetlands for migratory birds and other wildlife and will improve air quality for the people of Imperial County’s agricultural communities and beyond. This project truly is a testimony to what can be achieved when partners work together for the common good.